Are you a Best Buy Gamer’s Club Unlocked member at Best Buy? Get ready for a fantastic deal. If you aren’t a GCU member, it’s time to get it. You’ll save all that money back and then some quickly. 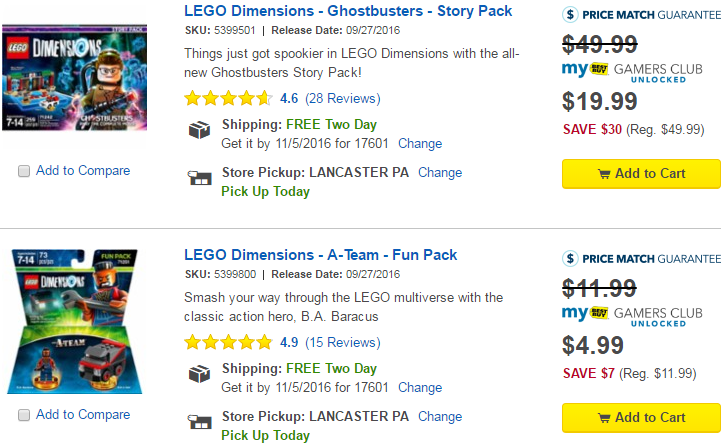 Best Buy is offering up to 60% off all currently released LEGO Dimensions packs, both online and in-store. This sale runs from November 3rd to 5th exclusively for Gamer’s Club Unlocked members. LEGO Dimensions Wave 6 Achievements and New Screenshots!